Utilities & Energy Services has been designated as the official steward for the standards, guidelines, procedures, and specifications for design and sustainability on the campus of Texas A&M University. These preferences have evolved from the department's experience in overseeing the construction, operation and maintenance of Texas A&M buildings over many years. 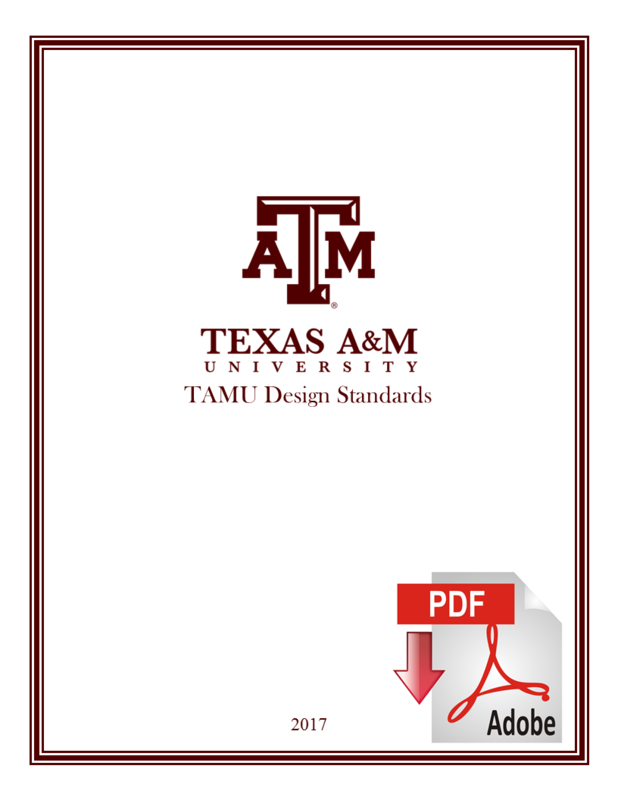 It is intended that these Guidelines serve as a uniform reference for consultants providing architectural and engineering design for Texas A&M construction projects. The value of being able to transmit the large body of specific information and preferences contained in these Guidelines is obvious. It will result in the use of construction systems and materials which have been proven to be cost-efficient and effective. The use of these Guidelines will also improve the efficiency of the design process itself by insuring that relevant information is communicated to project designers in a timely manner. This information is provided as a technical resource for engineering and architectural professionals for use in design and construction activities on campus. Design professionals assume responsibility for selection, reference, and appropriate application of these resources. It is your responsibility to verify that you have obtained the most current detail sheets from this website. We recommend checking this website for revisions regularly. You may access the entire booklet by clicking on the link or view each individual design standards below.